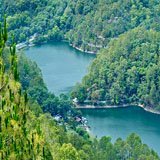 Nainital Weather is pleasant throughout the year, perhaps the reason why British chose it as their summer capital ?The hill resort is famous for its picturesque locales, lofty mountains and rippling water bodies. The summers are never hot, with the temperature hardly reaching beyond 27℃ . The months of June to September are a time for the yearly showers. 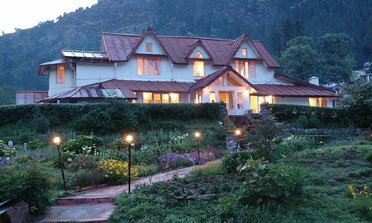 During this period, the temperature of the hill station dips and the mist in the air renders the town a romantic feel. From the months of December to February, Nainital is completely engulfed by snow. 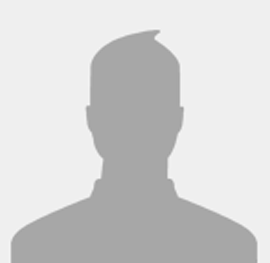 To get more information in the Nainital weather and climate of Nainital, browse further. Nainital is one of the most prominent hill station in the country that welcome tourists any time in a year. 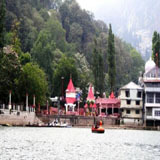 However, the best time to visit Nainital is from February to November. 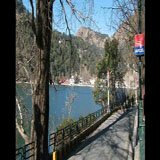 The winters in Nainital offers chilly climate and snow. The temperature tumbles down to below zero degrees around evening time. As per the prediction, the Snowfall in Nainital can happen during the last week of December or in the first week of January 2018. Nainital, known as the Lake District of Uttarakhand, is located at an elevation of 2084 meters. 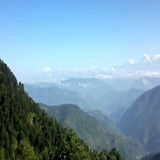 It is one among most popular hill stations North India that experiences heavy traffic of tourists. 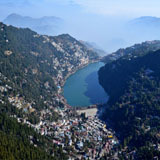 The climate in Nainital is influenced largely by the surrounding Himalayan Ranges. 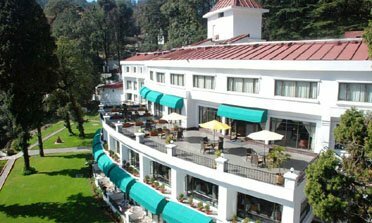 Summers are the best time to visit the hill station of Nainital. The weather is absolutely pleasant and the slight warmness in the day serves a welcome change in the usual misty weather. 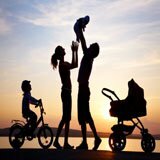 The temperature in summers reaches an optimal level of 27℃ , while the minimum temperature may dip down to 7℃ . 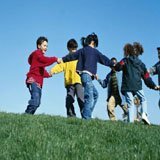 Summers comprise of the peak season for tourists to visit the hill station, especially those belonging to the hot northern plains. This is the freezing cold season of Nainital, when the minimum temperature stoops down to -3℃ . The winter sets in Nainital from the month of October and lasts till February. During this time, the entire town gets swallowed by snow, rendering it a serene ambience. People, from the plains, flock to Nainital in December, to view the first snowfall of the season. Till February, Nainital continues to witness fresh spurts of snowfall. Summers in Nainital are pleasant with blooming flowers. This is a very favorite time for trekking lovers, this season is best for sightseeing and adventure activities like boating and paraglilding. 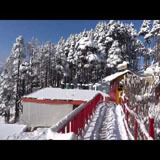 During this season tourist can experience snow-capped mountains, winters in Nainital is unique in its own way. Snowfall in Nainital is a refreshing experience for those people who are living in warmer regions. The monsoon season in Nainital lasts from the month of June to September. This season results in the dropping of the mercury in the hill resort. Being a hill station, Nainital witnesses early onset of monsoons. As the monsoons come, they also bring along mist and clouds at a very low level, adding a romantic feel to the place. 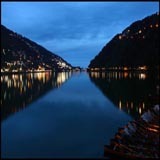 Irrespective of the reason behind your visit, be it business or leisure, as one of the top nainital travel agents, we have the ability to assist you in planning your itinerary or chart it out as per your requirements and wishes.We at allseasonsz.com providing the information of each and every thing related to nainital climate, nainital weather in summers, nainital weather in winters,monsoon season in nainital, snowfall season in nainital to see by which travellers can get help to plan their nainital yatra successfully. 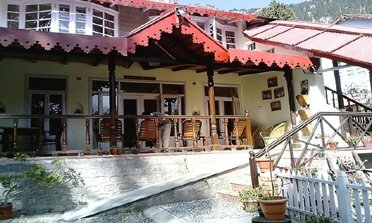 Day 1 :Local sightseeing In Nainital- Start the day with a rope-way trek to Snow View point for beautiful views of Himalayas or morning walk on Thandi Sarak originating from Naina Devi Temple running adjacent to Naini Lake and ending on Tallital-thesouthern corner of Lake. 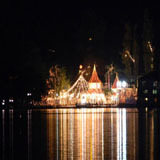 After coming back, enjoy boating in charming Naini Lake.Proceed to the Tibetan Market popularly known as Bhotia Market-If interested the market is ideal place to pick some souveniers and after a snappy lunch at one of the local Indian,Chinese Restaurants visit Naina Devi Temple and Gurudwara. Start Half Day sightseeing tour covering-Himalaya Darshan, Bara Pathar, Lover's Point, Suicide Point, Eco Cave Garden, Water Fall, Lake View Point. Spend the night strolling by Mall Road ( As traffic gets closed in Mall completely each day between 06PM-09 PM).End the day with Dinner at one of the popular Mall Road restaurants. Day 2 :Lake Tour Around Nainital- Start the famous Lake Tour visiting the nearby lakes namely - Bhimtal, Naukuchiatal, Sattal.You may opt for adventure activities like Paragliding, River Crossing, Rappelling, Rock Climbing, Jungle Camps etc here.Visit the divine temple of Gorakhal & Kainchi Ashram.You can do some shopping of local fruits and pulses from the Bhowali market while returning back.End the day with Dinner at local restaurants. 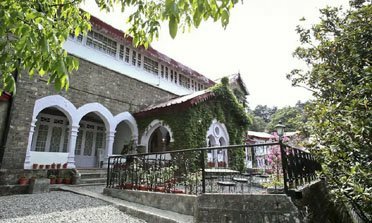 Day 3 :Visit Ranikhet or Mukteshwar-65 Kms/2 Hrs from Nainital.Proceed with local sightseeing of Ranikhet covering - KRC Museum, Golf Ground, Chaubatia Garden, Haidakhan Temple, Rani Jheel.Return back to Nainital and on the way must visit Kainchi Ashram known for the Neem Karoli Maharaj Ji, devotee of Lord Hanuman. 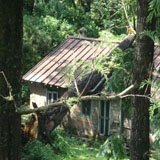 or Alternatively Visit Mukteshwar and Ramgarh approx 55 Kms/ 1.30 Hrs from Nainital.Local sightseeing of Mukteshwar covering -Chauli Ki Jhali, Mukteshwar Temple, IVRI Institute,Methodist Church and above all Mukteshwar offers panoramic views of Himalayas from here.Return back to Nainital. 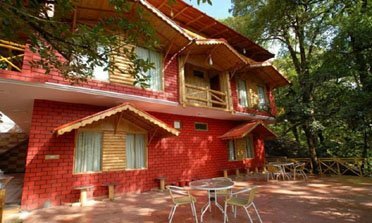 Day 1 :Arrival at Jim Corbett National Park-:-On your entry in Ramnagar, head towards Corbett National Park area where your resort is located .Check Inn at your resort in Jim Corbett and unwind. 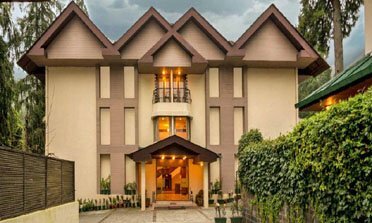 Freshen up and get ready to visit Garjiya Devi Temple and can enjoy on the shores of Kosi river flowing amidst temple.Overnight at Jim Corbett. 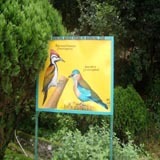 Day 3 :Lake Tour Around Nainital- Start the famous Lake Tour visiting the nearby lakes namely - Bhimtal, Naukuchiatal, Sattal.You may opt for adventure activities like Paragliding, River Crossing, Rappelling, Rock Climbing, Jungle Camps etc here.Visit the divine temple of Gorakhal & Kainchi Ashram.You can do some shopping of local fruits and pulses from the Bhowali market while returning back.On reaching Nainital you may also enjoy the cable car ride originating from Mall Road and going up till Snow View point and can also visit Nainital Zoo-must visit attraction for Kids.End the day with Dinner at local restaurants or in your hotel. Day 4 :Visit Ranikhet or Mukteshwar:-Visit beautiful cantonment town of Ranikhet- 65 Kms/2 Hrs from Nainital. 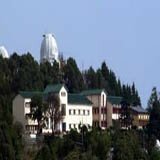 Local sightseeing of Ranikhet covering - KRC Museum, Golf Ground, Chaubatia Garden, Haidakhan Temple, Rani Jheel.Return back to Nainital and on the way must visit the Kainchi Ashram known for the Neem Karoli Maharaj Ji, devotee of Lord Hanuman. or Alternatively Visit Mukteshwar and Ramgarh approx 55 Kms/ 1.30 Hrs from Nainital.Local sightseeing of Mukteshwar covering -Chauli Ki Jhali, Mukteshwar Temple, IVRI Institute,Methodist Church and watch the panormic views of Himalayas from here.Return back to Nainital. Great place. It is must visit place. Great place. It is must visit place. 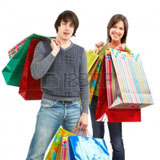 Sailing in naini lake, shopping center street walk, bhotia bazaar shopping, bara bazaar shopping is very unwinding. Aerial ropeway and zoo visit are additionally there which takes almost more than half a day. 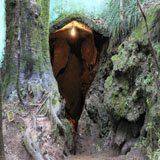 Eco cave gardens and bull ride in it is exceptionally intriguing. The climate was cool and the Air quality was great. The climate was cool and the Air quality was great. I had taken the Air full in lungs and was feeling so great. Taken an alto from local and went to the best to see the Himalayan range. Sky was clear blue and it was a decent sight. From that point we have seen the Nainital as a mango shape, Sukha taal, Khurpataal, Lovers point and Suicide point, Camel top, Sarita Tail and so forth. I have enjoyed a lot. 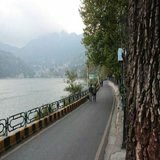 Irrespective of the reason behind your visit, be it business or leisure, as one of the top nainital travel agents, we have the ability to assist you in planning your itinerary or chart it out as per your requirements and wishes.We at allseasonsz.com providing the information of each and every thing related to best time to visit nainital weather, nainital weather in june, nainital weather today snowfall, nainital weather snowfall, snowfall in nainital, nainital weather in may, nainital snowfall 2017, weather in nainital,current weather in nainital india,weather forecast in nainital india,nainital weather,nainital live weather,nainital live temperature,current weather nainital india,weather forecast at nainital,climate in nainital,nainital in winter,temperature of nainital in winters,nainital season,nainital season to visit,nanital season time,nainital season snowfall,snowfall in nainital,snow view nainital,snow fall nainital,Tourist Snowfalls spots in Nainital,snowfall season nainital,snowfall time nainital,nainital in snowfall,nainital in snow,nainital snow view,nainital snowfall time,nainital snowfall season,snowfall season in nainital,time of snowfall in nainital,snowfall at nainital,nainital in summer,temperature of nainital in summers,nainital weather in summers,nainital monsoon,nainital monsoon time,monsoon season nainital,monsoon nainital,monsoon season in nainital by which travellers can get help to plan their nainital yatra successfully.